As a nurse-anthropologist, Sharleen Simpson has spent much of her career, domestically and abroad, seeking to understand how culture influences health and illness. Her earlier work dealt with cultural factors affecting nutrition in children, use of traditional medicine, and how beliefs, lifestyle and nutrition affect chronic illnesses such as hypertension. 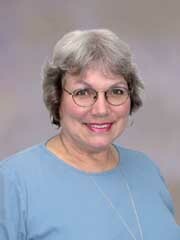 Simpson has been a women’s health nurse practitioner since 1986. This clinical practice stimulated her interest in discovering what motivates people, young and old, to engage in risky practices that can lead to sexually transmitted diseases (STD). The purpose of her current work is to develop culturally appropriate STD prevention programs in Florida’s ethnically diverse communities.Simpson is currently using ethnographic methods to evaluate access to STD services in several Florida counties in an effort to improve services in public and private clinics. She also is engaged in a pilot study of 14- to 19-year-olds in Duval County who have had at least two STDs within 24 months. The study, being conducted in collaboration with the federal Centers for Disease Control and Prevention, uses in-depth interviews and narrative analysis to see what motivates their actions. “The long-term objective of this latter study is to develop more effective STD prevention programs for adolescents,” Simpson says. Simpson hopes to build on her collaborative relationship with the state Bureau of STD Prevention and Control and the CDC and to develop a postdoctoral fellowship for nurses in STD research and prevention.”Since five of the top 10 diseases in the United States are STDs, I believe there is a lot of room and need for applied research in this field,” she says.